Create truly responsive stories, white-papers, blog posts, or reports with our unique format that automatically takes advantage of every device size. With full screen video and imagery, interativity, and lots of great layouts and designs to choose from, you can replace those static PDFs and boring blog posts. There’s never been a more engaging format. Use Storyform with your existing site on a per page basis with a WordPress plugin or let Storyform host it for you. With an emphasis on utilizing every bit of screen space, Storyform will shine on any device. From mobile to massive, we've got you covered. Never write a line of code, and never design from scratch. Storyform is the easiest way to publish. Elevate your story with great typography, including rich captions, pull-quotes and multi-column text. Available on the web, with no download necessary, Storyform is compatible with all modern browsers across all major platforms. 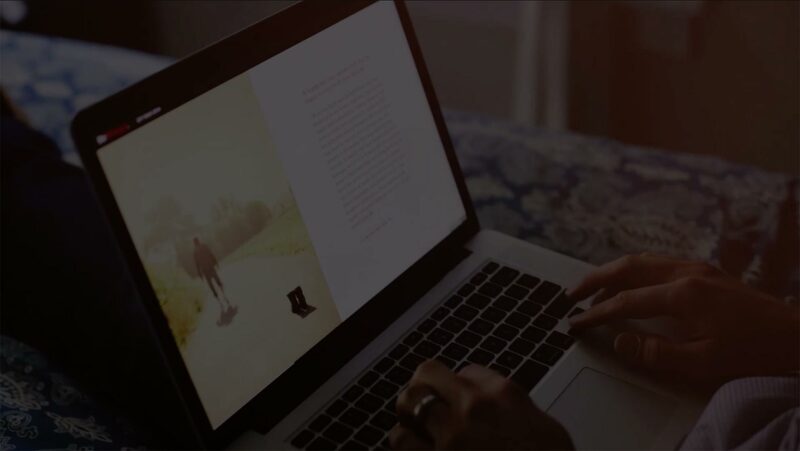 Select from a growing family of full-story themes, choose micro-templates for things like captions and headings, or customize everything yourself. Utilizing all forms of touch and keyboard inputs, and best-in-class architectures Storyform provides an exceptional, buttery-smooth user experience. Storyform uses only standards based HTML5. So your content is easily crawl-able and without the hassle of flash or other browser plugins. More stories, more pageviews, more domains, more designs, white-labeling, engagement analytics and more.